OK, so that might be a bit of over-enthusiastic hyperbole, but I can’t help but praise Leon’s Full Service in downtown Decatur. This was my and Jack’s destination after a quick bite to eat at FarmBurger (also recommended!). 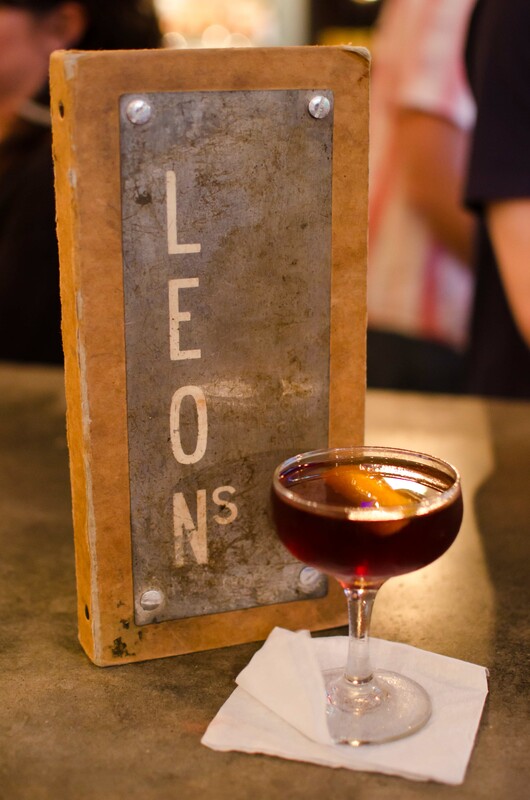 Leon’s occupies an old service station on Ponce de Leon Avenue, hence the name and 40s/50s-redux décor, and was opened by the same folks who brought you the Brick Store Pub, also in downtown Decatur (you know, right off the square). I was occupied in ogling the liquor and drinks selection, and neglected to take three tons of unnecessary photos in the crowded conditions, so I’ll let Mark Petko of Spoonfed (Atlanta) handle the photography (well, with the exception of the four below). The time? Oh, who knows…around 8 o’clock. This being a Friday, the place was packed. We were greeted by a dining courtyard, the former driveway, sheltered in between the two wings of the bar, the old glass-door service bays allowing you to view the mood lighting inside. Once inside Leon’s, the bar’s on the right, the dining room is on the left. We, of course, worked our way toward the bar. The left side of the bar: mixing station & glassware. The bar itself is in the shape of a horseshoe: the mixing station (as seen above) is on the left, the beer pulls are front-and-center, in the bend of the shoe, while the right side acts as a service/cleanup station. Massive beer/wine chillers line the wall directly in front of you, flanked by glassware on the left and liquor on the right. Premium spirits line the countertops of the back-bar, while bitters and syrups reside over the mixing station. Oh, and those message boards? The slide to the left and right, revealing a further stock of liqueurs & spirits (so that’s where the Marie Brizard and Lemon Hart are hiding!). The metallic FULL SERVICE insignia presiding over this formidable sight suggests that this bar means business. Drinks were continuously moving out from the mixing station and the kitchen in the back (the simpler drinks likely coming from back there). It’s a comforting thing to hear Moscow Mules, daiquiris (both the classic and their original Morningside Daiquiri), and bitter-heavy classics being ordered by the guy standing behind you as frequently as draft beers. A glance at the drinks menu (the online one is out-of-date!) reveals a formidable selection of wine & beer; the liquor selection is exactly what I’d hoped to find. The best gins, amari, bitters, fine aged rums, imported liqueurs…you name it, it’s likely here. I failed to spot Plymouth Sloe and Yvette, but I bet they were waiting their turn on the shelves. The cocktails are split into two categories: seasonal originals and classics. 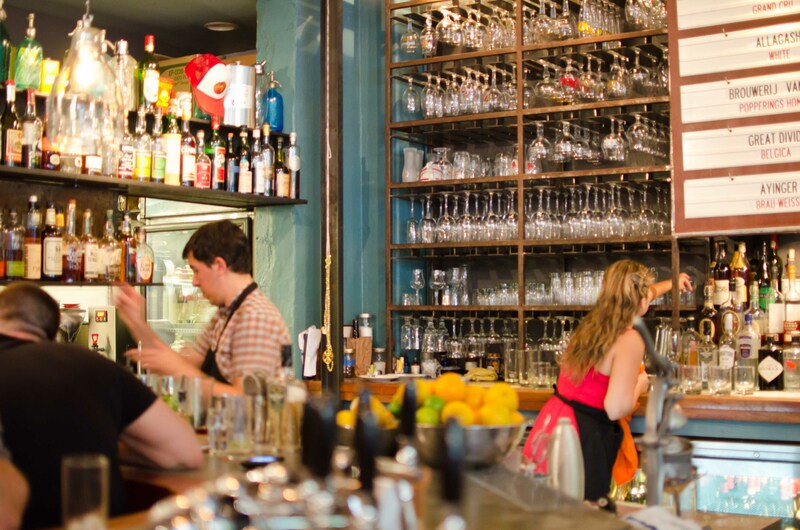 Both are heavily rooted in tradition, with the originals making heavy use of house-made syrups and bitters (orange bitters and falernum among them) and the classics being slightly on the obscure side. Yes, they serve a 1934 Zombie Punch. Yes, they know a Satan’s Whiskers comes Straight or Curled (unlike Ormsby’s). Yes, there will be Lemon Hart 151° in that Zombie. Fantastic! Stir with ice and strain into a chilled coupe. Garnish with an orange peel, flamed, if you wish. Ah, very nice! 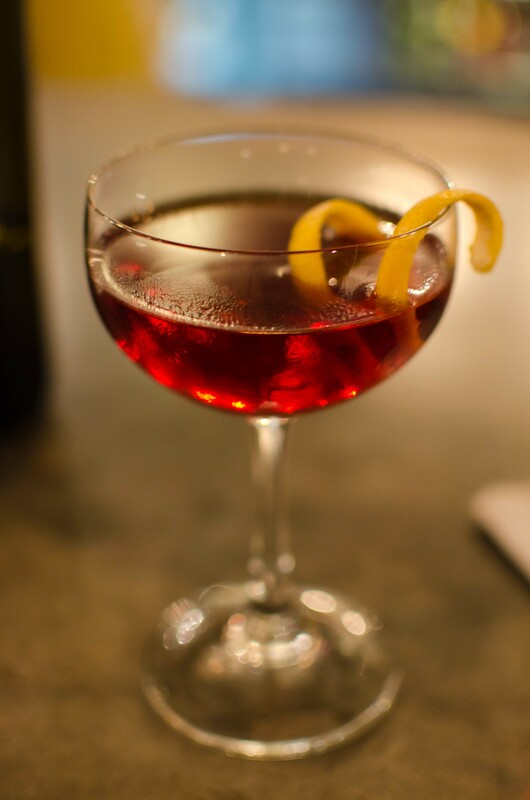 Characterized by a deep, darkly-inviting red hue and a strong, balanced blend of aged rum, fruit, and bitter spice, this variation on the El Presidente is certainly a pleasing one. The Scarlet Ibis was new to me (not yet obtained, though I believe Mac’s has it! ), as was the Punt e Mes, a bitter-ized sweet vermouth that, I imagine, could easily have taken over the drink. Stacked up against enough rum and fruit, however, it remains very pleasing, with little bitter aftertaste. 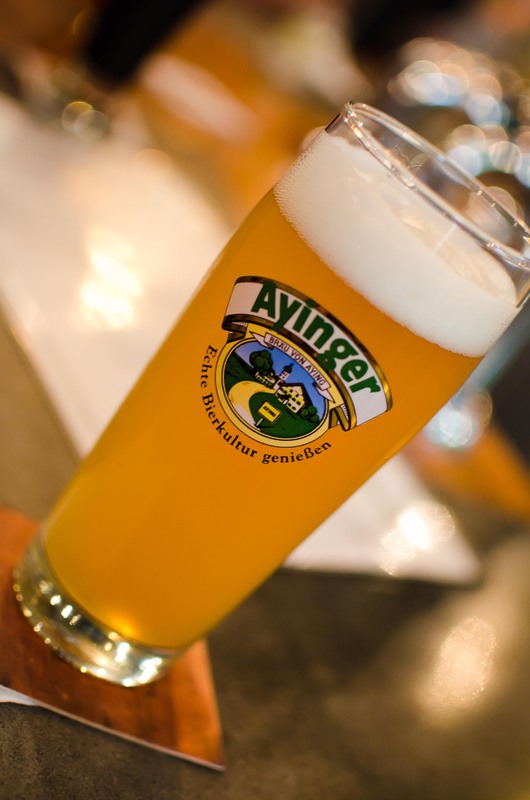 Jack, meanwhile, was sampling Ayinger, a German wheat beer, I believe, which was nice and light; smooth, with a unique grain taste. While, I much prefer these styles to super-hoppy beers, I’ll stick to spirits for now! Stir with ice and strain into a chilled cocktail glass. Garnish with a spiraled lemon twist. According to Robert Hess’s Essential Bartender’s Guide, the Old Hickory was the supposed favorite drink of Andrew Jackson around the time of the Battle of New Orleans (1814-1815). I’ve made this one before, though with Noilly Prat Original Dry and M&R Rosso, and my version certainly didn’t compare. This was my first encounter with Carpano Antica (another “first!” It was becoming a trend! ), and I can’t say I’m displeased; I fell in love with the Dolin Blanc earlier at JCT. Perhaps a bit heavy on bitters, overall, but I intended it to be the final drink, and sweetened bitters make an excellent nightcap (try Fernet-Branca or Killepitsch sometime). Alas, we did not sample any of Leon’s chow, though from what I’ve read it seems as equally pleasing as the cocktails. Perhaps on a future visit. A chance to talk to the bartenders on, say, a lazy Thursday afternoon would be much-appreciated. Needless to say, I plan on returning to Leon’s Full Service. This entry was posted on July 9, 2011 by IJ Lauer in Atlanta Bars, Bar Visit, Beer, Dry Vermouth, Orange Bitters, Orange Curacao, Peychaud's Bitters, Punt e Mes, Rum, Sweet Vermouth and tagged atlanta, bar, cocktail, decatur, el presidente, leon's full service, old hickory, review.